Local Wellingborough MP Peter Bone visited at-home care provider, Home Instead Senior Care, at their Higham Ferrers office recently as they approach the first anniversary of setting up the business which specialises in the care of elderly people. The MP, who attended the official opening of the business last September, was keen to hear how business had been for owners Mark Darnell and Elaine Lomax during their first year. Commenting on the visit, Mark said: “It was great to see Peter again and we really appreciate the fact that he popped in to see how we are going. I was delighted to report to him that we had created 40 jobs during the year as demand for our services grows. “I was also keen to tell Peter of the training we have undertaken with our new staff and how, despite recent negative media coverage of the sector, that there are quality providers doing excellent work – and we are one of them! Home Instead’s service allows elderly people to remain in their own homes for as long as possible, living an independent and fulfilling life, and will celebrate their first year in business on August 2nd. With the country’s elderly population growing at an ever-increasing rate* and social care budgets under review, demand for Home Instead Senior Care’s service is on the increase. Mark and Elaine are extremely proud of their dedicated and hardworking team of caregivers who provide a range of services which can include helping around the home, meal preparation, personal care, respite provision as well as specialist assistance with dementia and Alzheimer’s care. They also accompany clients to medical appointments, shopping trips, errands and even social visits to family and friends or days out to places of interest. 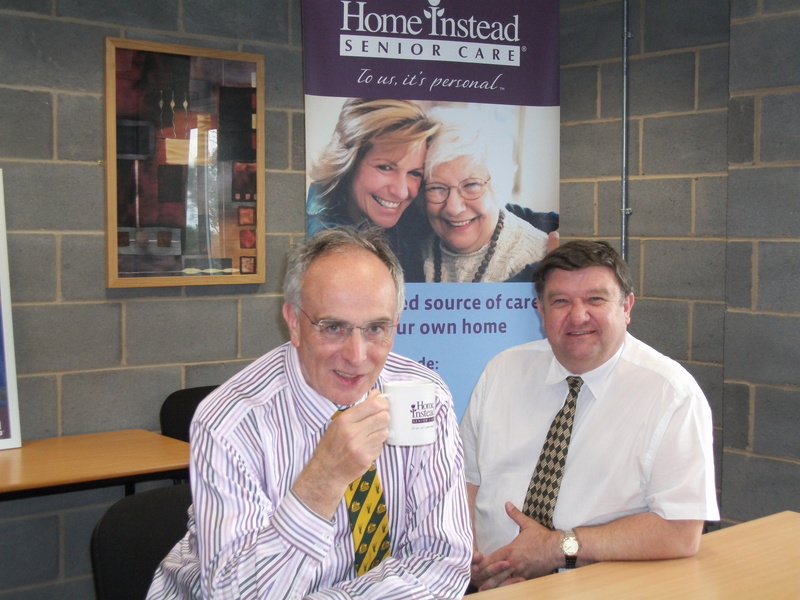 For more information on Home Instead Senior Care services, call the team on 01933 358708 or visit www.homeinstead.co.uk/eastnorthants.